If you’re buying a Boston Beacon Hill condo in an often competitive real estate market like downtown Boston and your offers keep getting beat out, you may be tempted to resort to desperate measures. In addition to offering more than the asking price, making cash offers, or agreeing to a quick closing date, some buyers agree to waive the home inspection. The home inspection is just one of three basic contingencies included in Massachusetts real estate contracts. They exist to protect buyers; any one of the contingencies can reveal information that affects the value of the Beacon Hill home, causing the buyer to sometimes terminate the sale. While few buyers would consider skipping reading the seller’s property disclosure or title report, somehow the home inspection has come to be viewed as optional. Here’s why it’s definitely not. A contingency in a real estate contract is a provision for an unforeseen event or circumstance that could affect the buyer’s willingness to complete the deal. Usually, they allow the buyer to withdraw from the deal and receive all or part of their earnest money back. In Massachusetts, there are three basic contingencies: a Beacon Hill condominium inspection, a property disclosure, and a preliminary title report. These help avoid any surprises the buyer might have after moving in — no liens on the title, no leaks in the roof. In addition, for financed offers, there is an appraisal and finance contingency. The appraisal contingency means the lender will to appraise the property to affirm that the amount of the loan is not exceeding the value of the home. The finance contingencies means that the buyer can back out if they cannot obtain the loan. In a buyers’ market, there may be even more contingencies than this. Boston condo buyers can add any kind of contingency they like, such as closing by a specific date or finding the home satisfactory on a final walk-through. However, the Beacon Hill real estate market is typically a sellers’ market, and so rather than adding contingencies, buyers are more likely to actually waive them altogether. Waiving one or more of the three may be acceptable in certain, very specific situations, but normally, it’s not advised. A Beacon Hill property inspection is typically performed by a licensed individual who has a knack for seeing what sellers, buyers, and their real estate agents can’t see. They leave no stone unturned to fully assess the condition of the home. In addition to basics like flooring, walls and foundations, they typically check out all of the home’s “mechanics”, including appliances, water, electrical and plumbing systems. They often get up on the roof to inspect its condition and crawl under home if there is a crawlspace. The home inspector will then hand the buyer and their real estate agent a detailed report showing what they found in the home. This report will not say anything about the home value, but it will flag things the seller might not have known about, and aid in determining if there’s anything that should be repaired before the home changes hands. Even if home buyers are willing to buy the home in any condition, a good buyers’ agent will not advise them to sweeten the initial offer by skipping the inspection. No matter how affordable and desirable the home, it will become much less so if costly maintenance issues are discovered too late. The inspection could be a breeze, but some issues in Boston, especially leaking underground oil tanks, radon, and mold are often hard, if impossible to spot. Remedies can be written into the sales contract, but only if the issues are discovered. For buyers, knowledge is power. But don’t the other contingencies make the inspection redundant? It may sound like a lot of layers of protection. The seller’s property disclosure contingency requires home sellers to check off a list of problems the home may or may not have. The preliminary title report shows any issues with the home’s title, and the appraisal sends yet another person over to assess the Boston Beacon Hill home’s value. 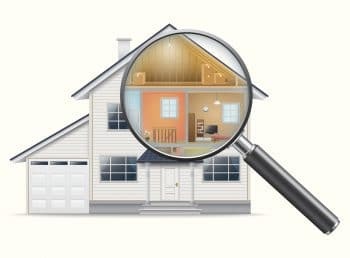 There’s no substitution for a thorough home inspection by a licensed inspector. The home appraiser is working for the lender, not you, the buyer. They don’t look into near the level of detail that the home inspector will. Their interest is primarily in the home’s value, which means they are looking at what the Boston real estate market is doing and what other homes in the area have sold for. You shouldn’t waive any of the contingencies, but if you really feel as if the home inspection is going to be a sticking point in the negotiations, there are other options. Depending on your situation, these alternatives may not be practical. Always discuss your options with your real estate agent. Pre-inspect the home. You can still get a home inspection, without making the sale contingent on what it turns up. A pre-inspection happens before you even make an offer on the Boston home. The challenge is that home inspectors are not always available on short notice, but your Beacon Hill real estate agent may be able to pull some strings. Getting the inspection done before the offer is in also means you’ll be paying a few hundred dollars to inspect a home you may not even buy. But if you feel like the home is in generally good condition, and that waiving the inspection as a contingency in the contract would help, it may be a workable option. Rely on the sellers’ inspection. Some sellers may have the property inspected themselves before listing it on the market. It helps them price the home more accurately and address issues ahead of time so that they can not be used to negotiate a lower price for the home. Some buyers may skip their own inspection if they can see a copy of the sellers’ inspection report. However, if work has been done on the property after the sellers’ inspection, it would make sense to have another inspection done, this time on behalf of the buyer. Walk away. If the other buyers making offers on the home are caught up in the bidding war, and making concessions on price, repairs and other contract terms, chances are you are not going to get a good deal anyway. Better to wait for another home to come on the market, and make an offer you won’t be kicking yourself for down the road! Have other home inspection or real estate buying questions? Ask your local Boston Beacon Hill buyers agent team!